The idea was to seize an abandoned piece of land and recover its utility. Rather than publish an article on this phenomenon, we decided to create a map and upload it online for people to access it freely. This map, called Zappata Romana, is indeed a map that showcases multiple locations where citizen-led urban activities developed, attaching a description, some photos, and a link when possible. Our project generated widespread curiosity. 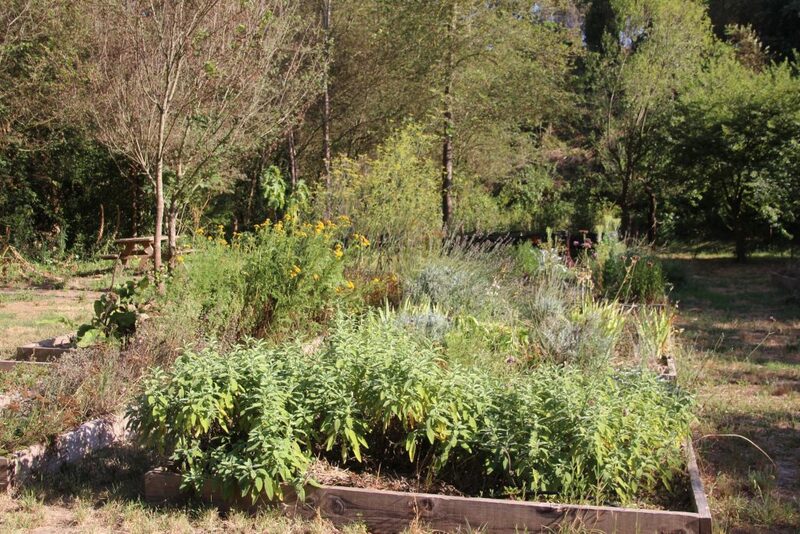 Every initiative we mapped thought of itself as a pioneer in the field of community gardens. Created in 2010, Zappata Romana is more than a simple map. It was born out of the citizens’ need for the reappropriation of a public space, which was neglected by a passive administration, unable to ensure the upkeep and management of urban renewal initiatives. StudioUAP Architects and founders of Zappata Romana Silvia Cioli and Luca D’Eusebio tell us about the origins and the rise of community gardens in Rome. Thanks to Zappata Romana’s contribution we are now able to analyze and contextualize an urban phenomenon as a whole, that would otherwise lose meaning due to its fragmented nature. According to the architects, the number of community gardens in Rome has rapidly grown from 40 to 200 since 2010. As Luca explains, the map provided us with a unitary image of a spontaneous phenomenon that would otherwise represent many bits of a puzzle all around the city, which don’t have an impact on the overall urban environment, offering a new vision of the city. 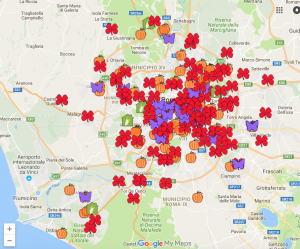 Zappata Romana: an example of collaborative mapping? The experience of Zappata Romana develops in a period in which we witness the growth of a new trend in the field of mapping: collaborative mapping. The traditional top-down approach of the mapping process is replaced by a new reality in which the citizens finally take back their participatory power by which they claim territorial authority. Collaborative mapping holds great democratic potential. However, it also hides some limits. The technical aspect as well as the specificity of the maps restricts access to the ordinary citizen. As a matter of fact, Luca recognizes that Zappata Romana’s choice might be shocking to some experts but it stresses that they opted for the easiest mapping technique available: Google Maps. It might not be the most aesthetically pleasing option but it is easily accessible to everyone, it is more common and it probably works better. Perhaps, here lies Zappata Romana’s key to success. A collaborative map with a simple and direct representation of the urban reality. The phenomena of collective mapping and community gardens underline the importance of citizens’ participatory power as the main drive to urban development and regeneration. Zappata Romana promoted an action that aimed at reviving citizen participation in the management of neighbourhood projects, and also providing a wider urban platform where different communities could share experiences and skills. This process strengthened the community members’ sense of belonging, and most importantly, contributed to the development of an actual urban consciousness. As underlined by Silvia: the impact on the city was extremely relevant, for the empowerment of the citizens, who were acting heroically yet without any recognition, resulted in a more organized and collaborative network. Meeting and sharing concerns was indeed productive for everybody. Beyond leading to the recovery of social capital, community gardens represent a place where the cultural identity of the Roman citizen can be built and rediscovered. In 2012 the administration of the Appia Antica Park proposed for Zappata Romana to manage an educational community garden inside the protected area. The participation of the already established roman gardens, as well as the experiences they shared, has helped Zappata Romana to create a community garden in the heart of Ancient Rome that today engages citizens of all ages and origins. The garden mainly serves an educational role, which is linked to its important cultural aspect. As stressed by Silvia, dealing with ancient roman plants has given Hortus Urbis a special value that has made the experience a rather intriguing and pleasant one, which differs from what is provided by other community gardens around the city. In the era of globalization, it is indeed essential to go back to the origins and discover the local over the global. 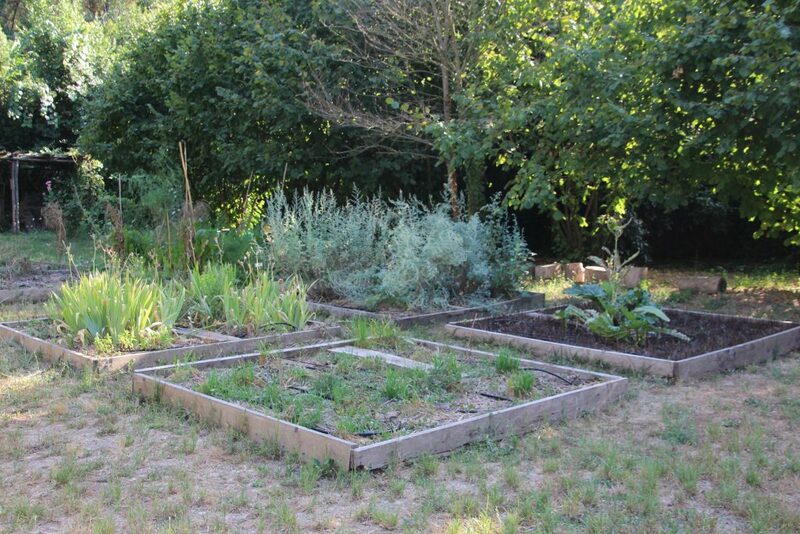 The skills initially offered by the cooperation of pre-existent community gardens has created an environment in which a variety of professionals collaborate on different levels to take care of the garden. Hortus Urbis organizes workshops and cultural activities for children, adults and disabled persons. It is precisely these activities that allow for the upkeep of the garden. Luca and Silvia openly explain that Zappata Romana chose not to rely upon public funding, and chose self-financing measures instead. Such a system avoids the risks linked to the unreliability of the public sector in Rome. As far as the role of public actors in the cooperative city is concerned, Zappata Romana expresses a very critical opinion. Silvia tells us that it is already a big achievement for the public administration not to hinder our actions, we don’t expect it to be even helpful. Community gardens emerged as a response to the inefficiency and the unwillingness of the City of Rome to improve the conditions of public spaces. city of Rome, resembles many already existent regulations, not fulfilling the ambitions that were initially set. Zappata Romana represents a praiseworthy example of citizens’ reappropriation and management of public space, which highlights the pressing need of change as far as urban governance practices are concerned. Environment, Rome , agriculture, education, green spaces.